With the on/off button and using the included universal mount or vehicle specific options, there is no reason not to run your AP in-vehicle. Also, with a light sensing auto-dimmer, you can run hassle free in day or night. As usual Chip-Racing can provide you with customfiles for your Accessport! 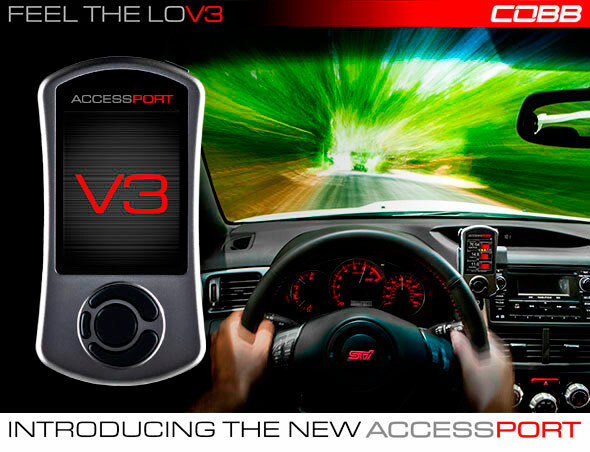 Here you can find the new lineup of V3 Accessports! First COBB V3 are here! I live in finland and I cant seem to get an accessport anywhere. Does chip-racing have an online store I could order from?